The big day is getting closer and closer, and sometimes it feels as though the planning is getting more and more frenzied. Don’t worry, a caterer can help! However, it can be difficult to figure out who you want to do your wedding catering in San Diego. The choices can seem endless! 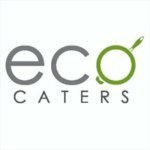 Keep reading if you’re wondering what a catering company does or how they can help you! We’ve put together a list of what to look for to find and hire the best San Diego wedding catering company so that your big day runs without a hitch. Before you even begin looking around or making any calls and wasting your time (and your caterer’s time), decide your budget and conduct research on the average wedding catering cost. Make sure you factor in both food and drinks, as well as whether or not you plan on providing alcohol and/or an open bar. Count how many heads will be attending your wedding, how many are of legal drinking age, and make sure you add in any special dietary needs you may want to account for. Decide what you’re willing to spend on all of the above, and then contact your chosen wedding caterer in San Diego. Deciding your budget beforehand and knowing exactly what your priorities are helps you narrow down your options and helps your wedding caterer know how to tailor their quote for you. You can do family-style catering, buffet-style, or seated, and all will have different pricing structures. Deciding your budget ahead of time also gives your caterer the heads up on what food items will not be in the budget, so they can come up with a menu that fits. Just remember that the more experienced a caterer is, the higher their pricing may be, because that’s really what you’re paying for. Someone who knows how to plan a menu, prepare amazing food, and cater an event well, without creating any additional stress for you or your wedding planner. Ask how many years they’ve been catering weddings and how many weddings they have actually catered in those years. Not only will an experienced San Diego caterer know how to plan a menu and event that will suit your style and needs, but they may also even have ideas you hadn’t thought of. Of course, the more experienced they are the more they will excel at problem-solving too, because there probably hasn’t been a problem they haven’t run across in the past. So, choose wisely when choosing a San Diego wedding catering company, and choose the most experienced one you can find within your budget. 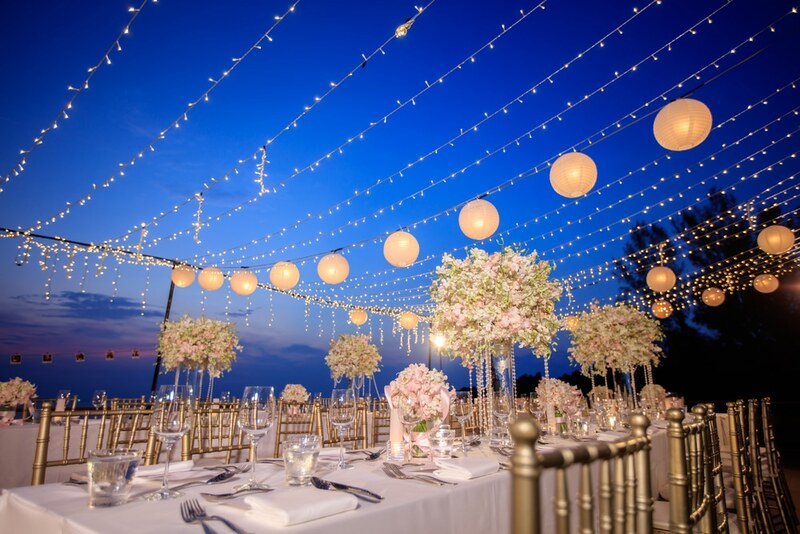 Oftentimes, your venue can make recommendations of preferred wedding caterers and in some cases will only allow certain caterers access to the site. Or they may have special requirements that outside vendors will be asked to meet. So be sure you start there and broaden your search from that. There’s nothing worse than finding a great caterer that fits your budget, only to find out San Diego venue can’t or won’t accommodate them. Also, if your caterer will be cooking onsite, you need to make sure the venue supports that. Some people choose to have their food cooked off-site and transported to the venue. You can discuss all options with your caterer, but make sure you know your vendor’s rules first. Also, keep in mind that food is fresher when cooked on-site. You may not want to choose a caterer for your occasion that is only willing to cook off-site, even if their services are cheaper. While tastings can be great and meeting with potential caterers can give you a feel for who you will be working with, there’s nothing better to help you make an informed choice than requesting to attend one of your caterer’s events, so that you can see first-hand how they operate. 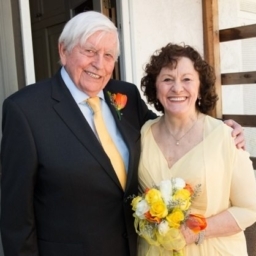 You’ll be able to see for yourself how professional they are, how they handle challenges, how friendly and helpful the staff is, and get a good feel for how your wedding meal might progress. This can also relieve a great deal of stress for you, because you will know without a doubt that your guests are being treated with the best of care. One of the great things about asking to attend a San Diego wedding catering event is it will give you an opportunity to see how creative they are. Obviously, you want your special occasion to be fun, memorable, and stress-free. You want your menu and the presentation to reflect your style as well, and the best caterers will know how to provide all of those benefits in spades. You can also check out photos of past events to get a feel for how creative they are as well. Do they excel in presenting your foods in a pleasing and unique way? Creative catering often includes unique menu items and ingredients. Do they have classic menu items beefed up with their own special flair? Even if the food itself isn’t gourmet quality, remember that presentation is everything. A creative San Diego wedding catering company can make even the simplest of menus feel like a delicious high-class meal. And for one last final word of wisdom on wedding catering in San Diego, don’t be afraid to check out their reviews from other clients. Most event planning caterers will have a website and be listed on local vendor sites where customers can leave feedback on their catering and event experience. 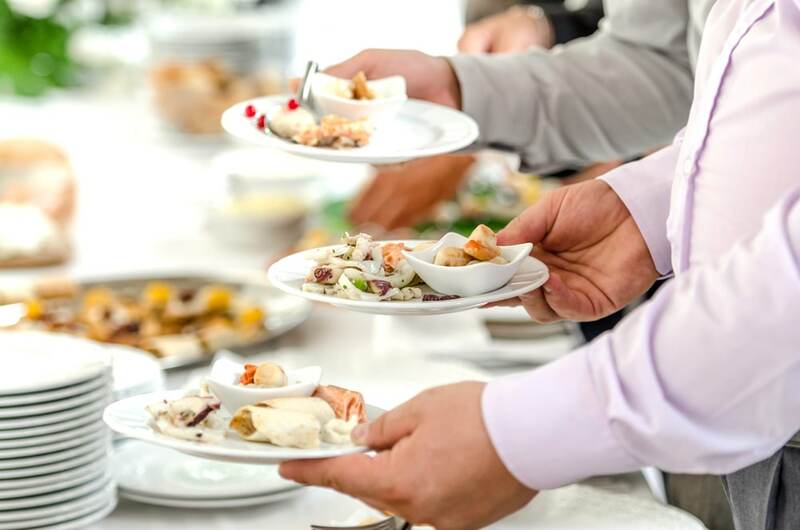 Obviously, take them with a grain of salt because some people may never be pleased with any sort of service, but, if a chosen caterer has a very poor rating from past customers, it may be wiser to steer clear and find someone else. 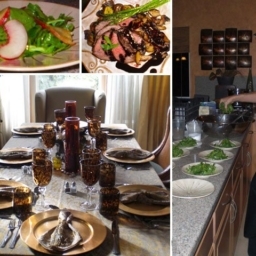 We hope these tips will help you in deciding how to find the best San Diego wedding catering company available to you. Happy hunting!